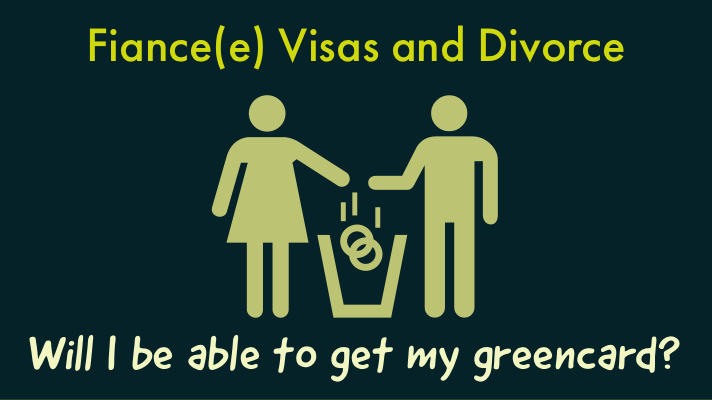 Fiance(e) Visas and Divorce: Will I be able to get my greencard? A nightmare scenario for the non-citizen fiance(e) of a United States citizen happens when the couple gets divorced before the non-citizen adjusts his or her status to that of a Lawful Permanent Resident (LPR). The United States Citizen has a tremendous amount of control in this situation. A new Board of Immigration Appeals decision further establishes that the United States citizen has the power to give or take away a greencard in this situation. What happens if my United States Citizen spouse and I divorce before I get my greencard? For the thousands of people who enter the United States each year to get married to a United States Citizen after obtaining a K-1 visa (Fiance(e) Visa, they are embarking on an exhilarating new chapter in their lives. In love and ready to begin their lives in a new country with a new spouse, they enter the United States with the intention of getting married within 90 days and then to obtain a greencard, which will allow them to live and work permanently in the United States. But what happens when the marriage sours? What happens if you and your United States Citizen spouse file all the paperwork for you to obtain a greencard, but now you find yourself in the midst of a divorce? Unfortunately, the United States Citizen spouse holds the cards. A new Board of Immigration Appeals decision, Matter of Song, 27 I&N Dec. 488 (BIA 2018) has further highlighted this fact. Why would they deny my adjustment of status application if I get divorced from my United States Citizen spouse? Under Immigration and Nationality Act Section 212(a)(4)(A), an applicant for adjustment of status (to obtain a greencard) is inadmissible if the person is likely at any time to become a public charge. This law has been developed to require that the Petitioner (the U.S. Citizen spouse) file an Affidavit of Support (Form I-864) which is a binding contract between the Petitioner and you (the Applicant) and between the Petitioner and the government. The purpose of the Affidavit is for the Petitioner contractually obligate himself or herself to maintain the applicant at 125% of the federal poverty level. So, if the Petitioner divorces the Applicant, the Petitioner is unlikely to want to maintain his or her contractual obligation and therefore is likely to withdraw the I-864 Affidavit of Support. Matter of Song holds that if the Petitioner withdraws Form I-864, then the Applicant cannot adjust status. 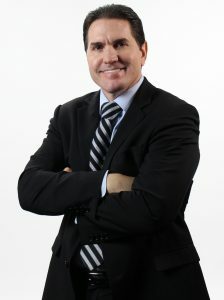 What if I get a new sponsor to file another I-485, Affidavit of Support? That is exactly what the applicant in Matter of Song did. Unfortunately, the BIA held that this was not sufficient. The rules require that the Petitioner submit and maintain through adjudication his or her Form I-864. Therefore, if the Petitioner withdraws the Form I-864, it cannot be cured by filing a separate I-864 by a different sponsor. There may be other options. For example, those applicants that have been subjected to physical or emotional abuse may be able to adjust status and obtain a greencard without having to fulfill the requirement of submitting an Affidavit of Support. If you find yourself in this predicament, consult with an immigration attorney to discuss what options may be available to you. Read the Matter of Song opinion here.